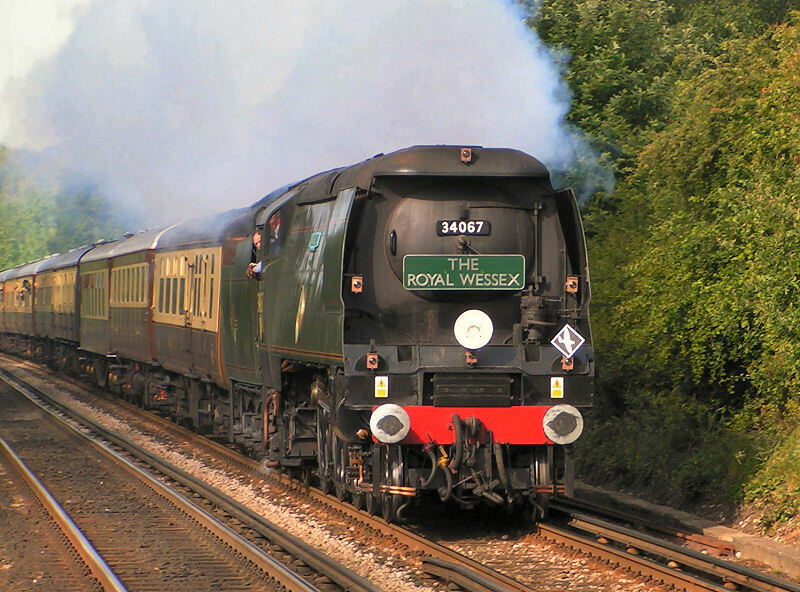 Unrebuilt Bullied Battle of Britain Pacific, 34067 'Tangmere', heads the 'Royal Wessex' service through Sway in the New Forest in this photograph by David Russell of Sway Camera Club. 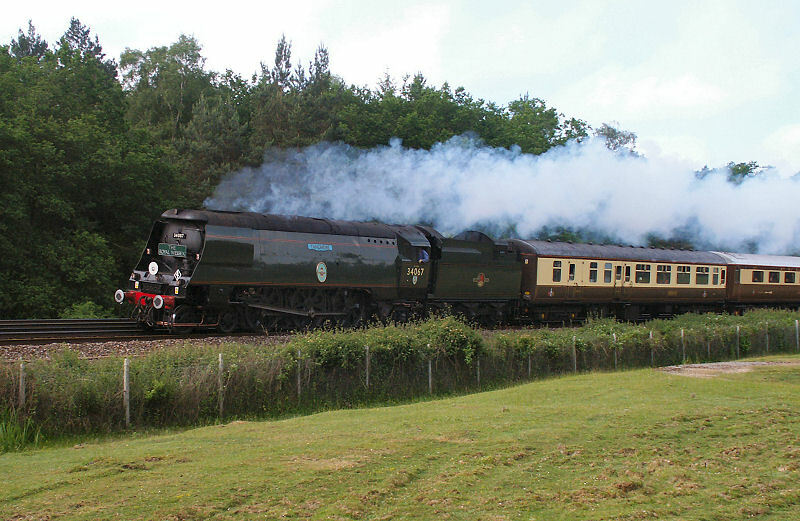 34067 'Tangmere', heads the 'Royal Wessex' service through the New Forest - seen here at WoodFidley between Brockenhurst and Beaulieu Road. 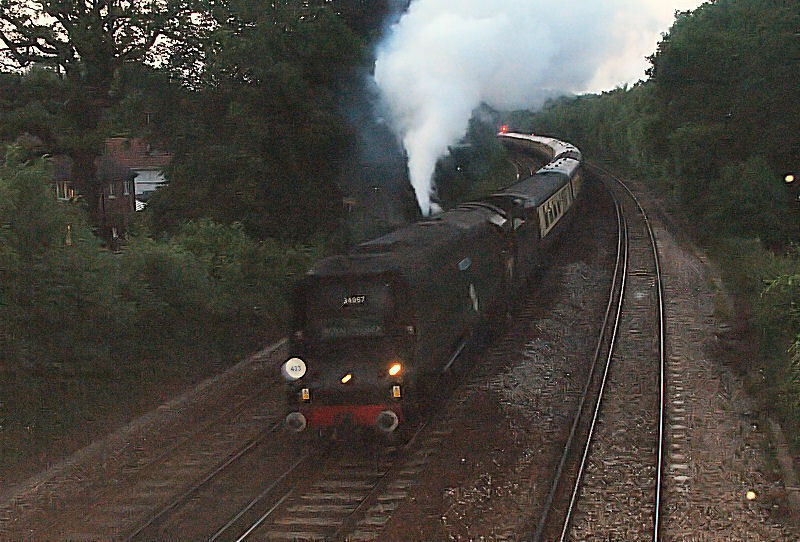 With the evening light fading rapidly and safety valves lifting, Battle of Britain class Pacific, 34067 'Tangmere', starts the down 'Royal Wessex' service away from a water stop at Brockenhurst late on Saturday evening. Tangmere worked through to Weymouth and then returned to Eastleigh before working back to Old Oak Common via Reading on Sunday 19th June.